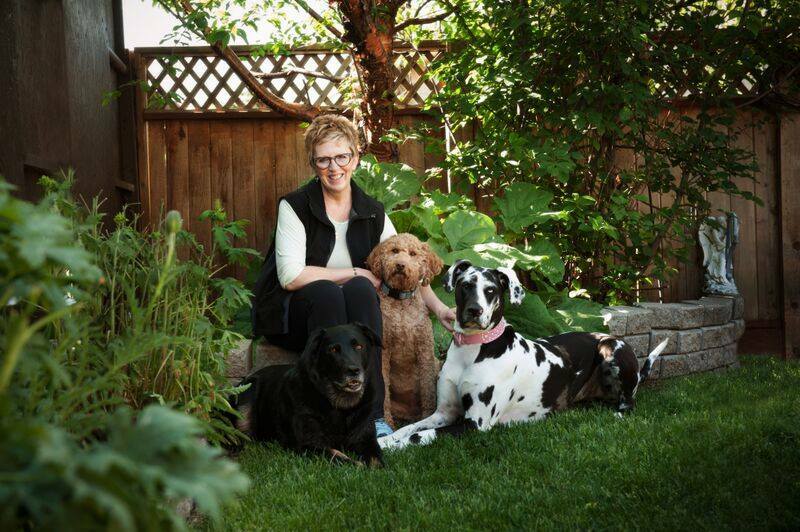 My business was born out of a lifelong passionate love for dogs, and my mission is to teach and assist people in creating joy-filled, loving, and positive relationships with their 4-legged best friends. Of course ultimately, this means far fewer dogs surrendered to shelters or euthanized for behaviour issues. I began my training career as an apprentice at the Edmonton Humane Society Canine Enrichment Centre (CEC) under Trainer and Behaviour Consultant, Bilinda Wagner in January of 2010, after which time I was hired as an official trainer in September of that same year. I also began to shadow private behavioural consults while at the same time, studying under dog behaviour specialist, Ivan Stewart who has his Masters in Ethology from the University of Cambridge and offered education as an Applied Dog Behaviour Consultant through a thorough and stringent behaviour consultant program that consists of theory as well as a hands on practicum. I graduated from this program with honours. By the time I left my position at EHS 4 years later, the majority of my role was handling the more challenging private behavioural consults. In addition, I have also completed the DBTM (Dog Behaviour and Training Methodology Certificate Program) at the Edmonton Humane Society under Bilinda Wagner, where I graduated with honours. I am always looking to further my education in the latest and best science-based training and behaviour modification methods and have completed workshops and courses with Dr. Karen Overall, Michael Shikashio, Trish McMillan, Debbie Jacobs, Sue Sternberg, Dr. Sophia Yin, Grisha Stewart, Nicole Wilde, and Dr. Susan Friedman. I am a licensed educator of the Family Paws‘ Dogs & Storks class that educates expecting parents on how to prepare their dogs for the arrival of a new baby and Dogs & Toddlers class that guides all dog owning adults on how to safely integrate the babies, toddlers and dogs in their lives. In 2016, I founded the Alberta Force Free Alliance, an organization that provides force free options for dog owners as well as educates the public on the science behind force free training and handling. This organization is dedicated to the life and memory of my dog Cash, who inspired me to seek out a science based education in dog training and behaviour and leave behind old school balanced, alpha/dominance based and aversive training and behaviour modification approaches. My husband and I currently share our lives with 3 dogs, Luke, Gracie and Lily, 3 cats, and 2 birds who all enjoy our 7 grandchildren aged 2 to 15 years.